So Saturday was just too busy for words. Sunday and Monday were just a matter of fatigue really. I didn't think I'd keep the daily streak going this long, but it was definitely starting to get a little tough and I needed a break. Plus, I got a little angry Sunday night when I received a back order notice on my DST Kang preorder that I placed months ago. Word to the wise TRU- when you take a preorder, you should be able to fulfill it. I was a bit miffed and I didn't have the gumption to talk about Trek. But I'm back...and so is Ilia! 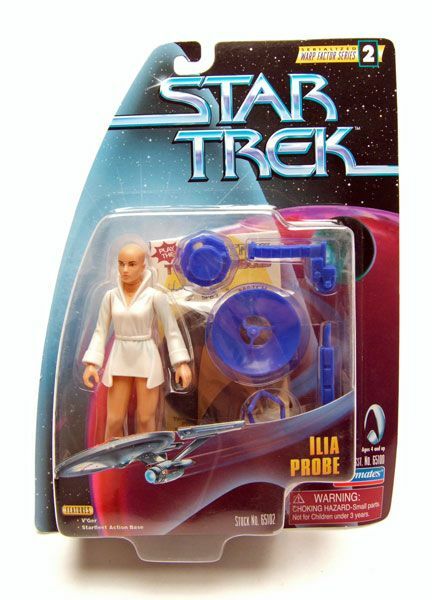 Ilia is from the "Warp Factor" era, which usually means less articulation with a more detailed sculpt. She may not be able to move very much, but the figure is nicely sculpted. While she's not a dead ringer for Ilia, the figure's head is decent enough. I don't want to say the sculptor got lazy...but it's tough to mistake this for somebody else, what with the bald head and all, so why go overboard trying to get the likeness just right. I don't dislike it, I just wish it was a bit better. Something that did really impress me on this release was the paint work. The shirt has a nice blue wash over it, which really brings out the folded details in the sculpt. Ilia's shoes are also nicely handled. 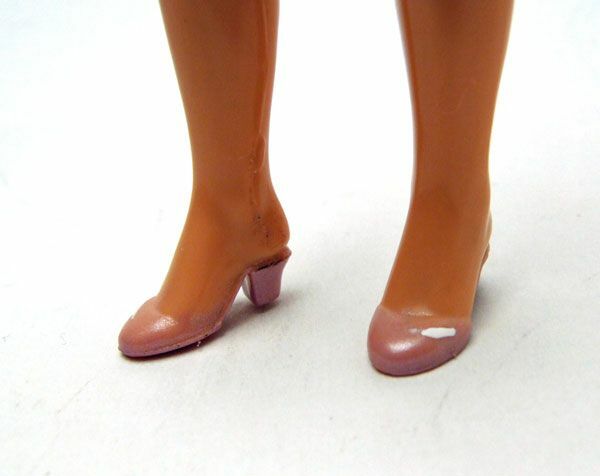 The shoes have a nice pink sheen with small white highlights all around. You usually don't see that kind of detail on a Playmates release, so kudos! 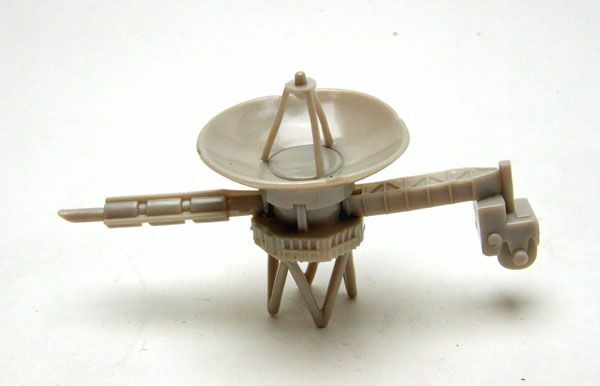 Accessories: Ilia comes with a display stand (not pictured), and the small V'Ger replica that was formally available as a "build-a-figure" in the Classic Star Trek Movie Series. 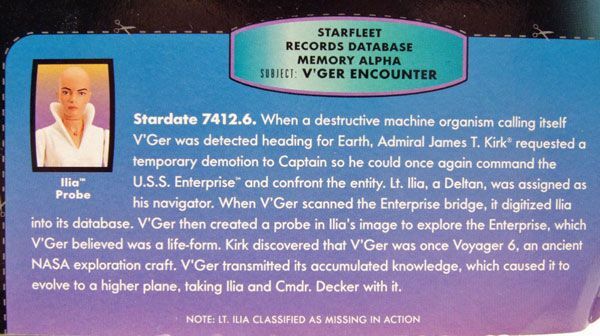 This time around, V'Ger is molded in one solid color and is unpainted. 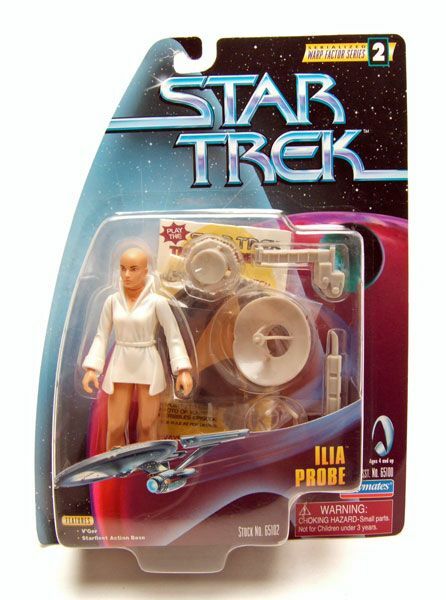 Ilia makes a great compliment to the Classic Star Trek TMP figures. If you have those, grab her too. If you don't have those and don't intend to buy them, well that makes Ilia kinda pointless doesn't it? So there. Labels: Ilia, Playmates, Playmates 4.5"
This Ilia fig was a disappointment to me as far as her face sculpt. 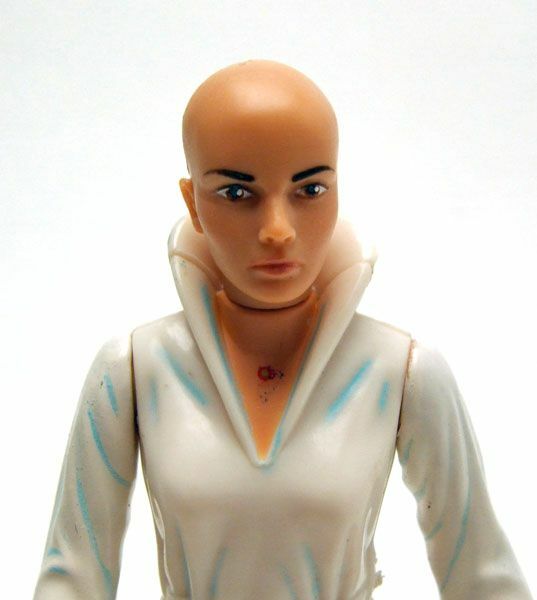 It's essentially just any bald lady, but not Persis Khambatta. 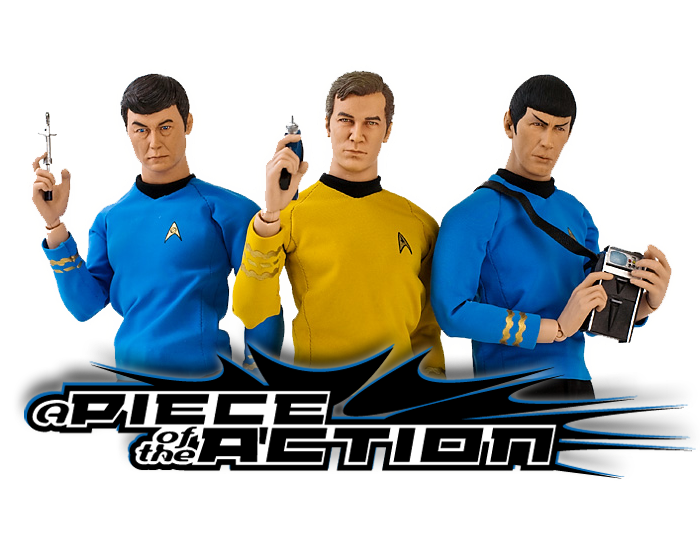 Reminds me of how most Uhura figures are just a black female face, but not Nichelle Nichols. Lazy, untalented sculptors!! 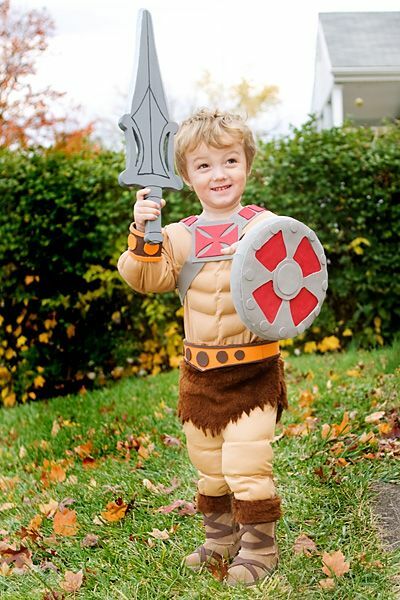 You're such a good dad---cute costume pix! 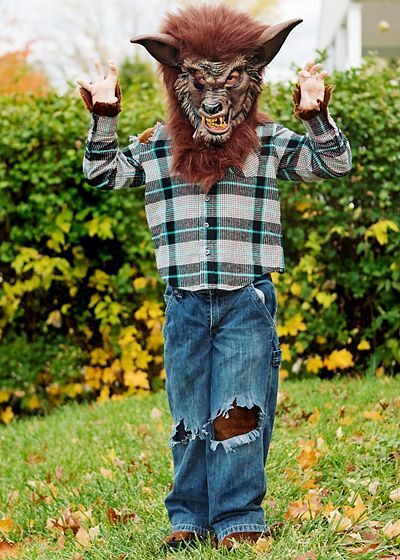 Hope you had a nice Halloween.